Millions of potential MRI patients already live with a medical implant. The use of pacemakers has seen a more than 50 percent increase between 1993 and 2009, while the first nationwide study of knee and hip arthroplasties show that over 7.2 million Americans are living with implants. These implants can increase mobility and improve a patient’s quality of life and life expectancy; there’s no question that they’re a net medical plus. But implants also come with new restrictions, including some that affect our use of MR technologies to obtain diagnostic images. To be clear, MRI scans are incredibly helpful, low-risk, non-invasive imaging options. 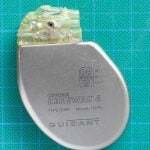 But sometimes those with medical implants aren’t able to take advantage of this imaging choice, and the list of affected implants is constantly in flux. That’s why it’s important for all physicians to stay up-to-date on the research regarding medical implants and MRI scans. Because MRI scans use strong magnets, metal implants could potentially cause negative reactions or distort the images created during the test. 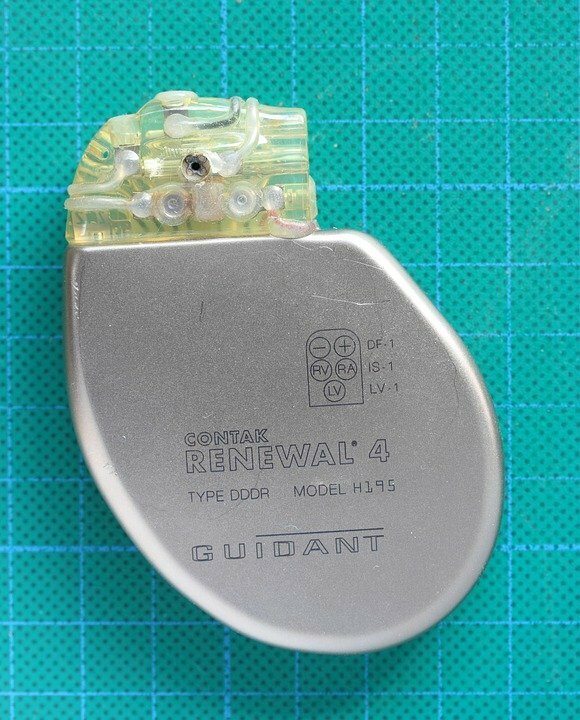 Pacemakers, defibrillators, cochlear implants, or other small metal hardware can heat up or be drawn to the machine during an MRI. Electronic devices can also potentially malfunction during a scan, posing a risk to the patient. That said, medical device manufacturers are always innovating. Increasingly, designers of these devices plan for MRI safety when they’re building their products. So where does the latest generation of medical implants stand when it comes to the safe use of MR modalities during the diagnostic process? That, of course, depends on the implant itself. Pacemakers and defibrillators have long been on the MRI-unsafe list. Recent studies suggest that this abundance of caution is not necessary for most people. One piece in the Journal of Clinical Electrophysiology, labeled a “proof of concept study” by its authors, suggests that the benefits of conducting an MRI scan on patients with pacemakers and defibrillators justified the risk. Meanwhile, a safety study of nearly 40 medical implants in a 7 Tesla MRI scanner found that only four of them — one heel implant, two stints, and one fibular implant — failed safety tests and earned the designation MR-unsafe for 7-T MRI usage. Leading hospitals are also building the case for MRI procedures in patients with pacemakers and defibrillators. The Johns Hopkins Hospital has safely conducted MRI studies on more than 300 patients with cardiac implants at the time of this writing. Of course, none of this is to say that all medical implants are always safe for MRI scans. But as the research continues, and as device manufacturers learn more about which materials and designs interact with MR fields and which don’t, it seems that the diagnostic power of MRI scans will become more and more available to patients who have implanted medical devices. That’s a good thing for patients and for medical science more broadly. Sheet metal workers, welders, and others exposed to tiny metal fragments face particular risks during an MRI scan. An adequate screening questionnaire will ask patients if they’ve been exposed to metal fragments well before they enter the MRI suite. In order to minimize anxiety both before and during imaging procedures, physicians should educate patients who work with metal early in the conversation. The presence of metal in the body may not present a health risk, but may still contraindicate MRI as an imaging modality. Even if metal fragments don’t react to the magnet in ways that can cause harm, they can still disrupt magnetic field homogeneity. This can cause visual artifacts and signal loss, limiting the diagnostic value of the resulting images. Sheet metal workers are more likely than others to have tiny metal shards in their eyes, and these objects may not produce any symptoms at all. Patients are often unaware of the presence of intraocular foreign bodies. For instance, see this article from the American Journal of Ophthalmology Case Reports. 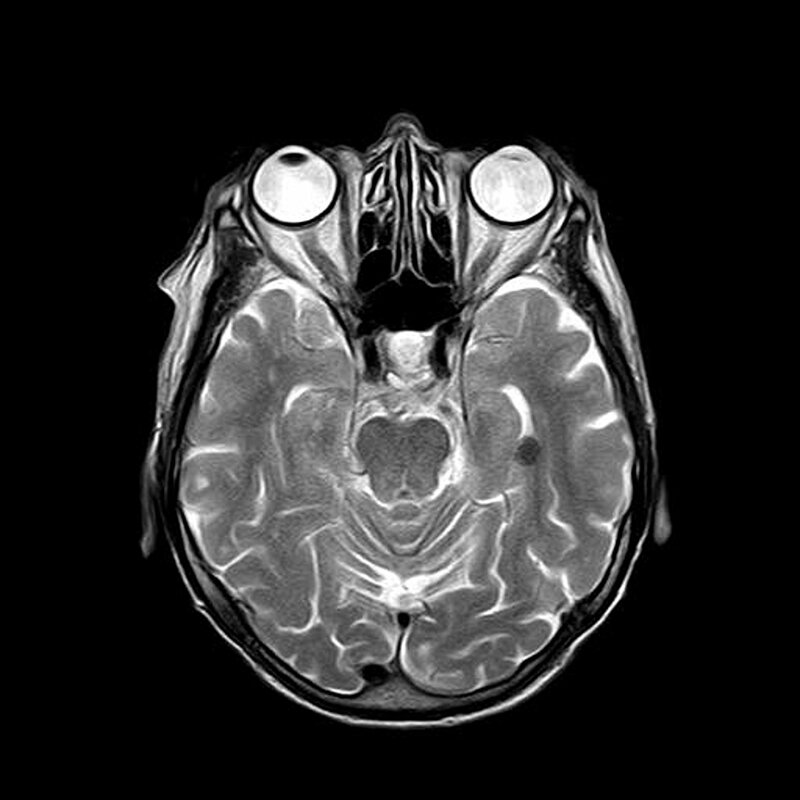 Even if patients aren’t experiencing discomfort or pain, physicians may elect to obtain images of the eyes via nonmagnetic means before progressing to the MRI study. Standard procedure is to order a CT orbit scan prior to MRI for patients who face higher risks of metal fragments in their eyes. CT scans don’t use magnets at all, and are safe for patients who have metal shavings in their eyes. The orbit CT scan is a quick, noninvasive way to make sure patients can safely receive an MRI in scanners of any strength. Regardless of the findings of preliminary scanning, patients will always have a way to stop the MRI procedure for any reason. 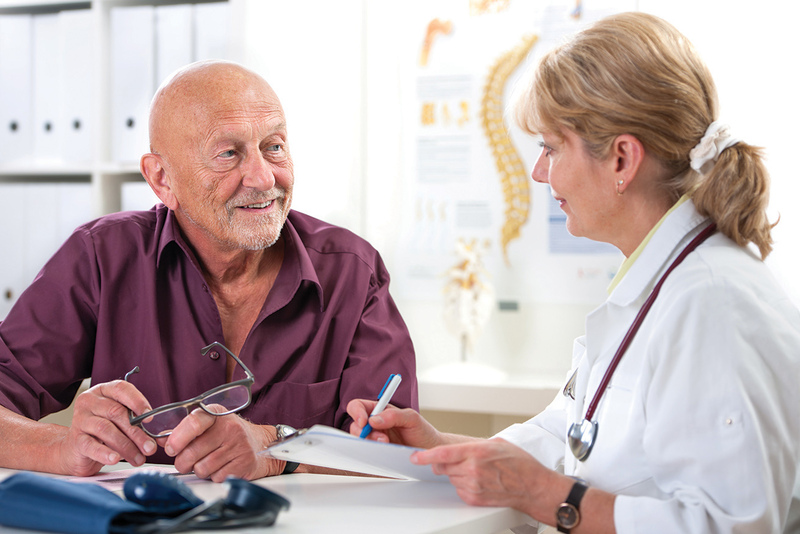 Patients will always have a route of communication with the attending technologist. If they have any concerns during the procedure, they can always tell their technologist, who will stop the scan and evaluate the situation before proceeding. If the MRI scan poses any health threat at all, plenty of alternative imaging modalities are available to meet diagnostic goals. In the rare event that technologists and radiologists do find ferromagnetic metal fragments within the patient’s eyes or body, they can always use an alternative imaging technique. Scans involving X-rays don’t create magnetic fields, and won’t interact with metal implants or particles. The pre-MRI screening process is designed to ensure safety for patients, and a big part of the effort is discerning the presence of ferromagnetic metallic objects within the body. The high-powered magnetic fields involved in an MRI scan can cause these objects to heat up, vibrate, or even shift location — clearly, this presents a health risk for patients, contraindicating MRI as a diagnostic imaging modality. 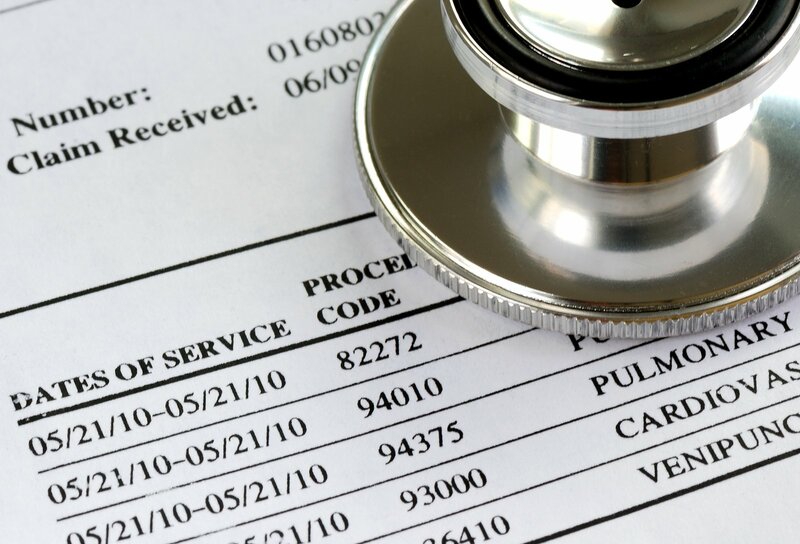 Despite these risks, physicians can help to provide a more comfortable treatment experience by discussing the above issues with qualifying patients from the beginning of the diagnostic process. Doctors can continue to order the MRI for metal workers with a high degree of confidence in the safety, efficacy, and comfort of their patients, and communication plays a central role in the process. Senol S, Gumus K. A rare incidence of metal artifact on MRI. Quant Imaging Med Surg. 2017;7(1):142-143. Diagnostic imaging is crucial to many personal injury lawsuits, but what type of imaging do your clients need? Odds are, doctors and legal teams will point toward one of two options: an MRI scan or a CT scan. These procedures could provide crucial evidence in your case, clarifying to jurors and the judge what was merely conjecture before. 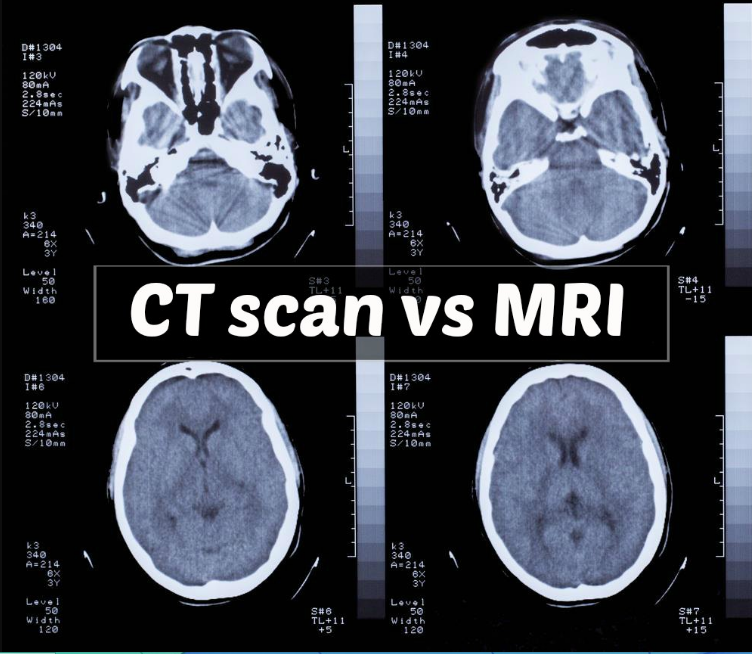 Here are the main differences between CT scans and MRI scans, along with a few things personal injury attorneys should know about these popular diagnostic imaging modalities. Computerized Axial Tomography, otherwise known as a CT scan, uses X-rays to produce detailed images of the human body. The basic concept is this: The machine shoots a narrow beam through the target area of the body. Then it rotates the beam, creating a cross-sectional image. Most of the radiation passes through the body, but when it hits denser material such as bone, it stops. This is how bones show up on the screen as a contrast. Through the use of multiple images stacked on top of each other, the computer program creates a 3D picture of the patients insides. The scan is a non-invasive procedure. Note, however, that it does expose the patient to ionizing radiation. Magnetic Resonance Imaging, or MRI, uses powerful magnets to create a strong magnetic field. The machine then sends pulses through the patient’s tissues to create clear 3D images of the target area. This technology does use damaging radiation during photo capture, and it’s totally non-invasive. The patient rests inside a large magnet during the procedure, and must remain quite still during the whole process, or else risk a distorted result. However, resulting images are often highly accurate and detailed. If a picture is really worth a thousand words, in the courtroom, it could be worth many thousands of dollars. Some sort of diagnostic imaging can strengthen virtually any case. Of course, each imaging modality offers specific benefits to the patient and client, depending on the nature of the injury itself. 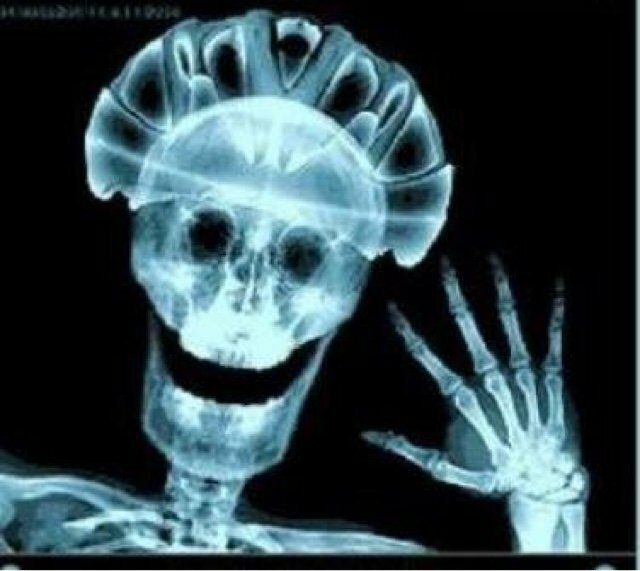 CT scans, for example, are far better at diagnosing breaks, fractures, and other types of bone damage. Due to a lack of water in bones, a necessary component to MRI imaging, they don’t provide a lot of detail in MRI images. On the other hand, MRI scans are excellent at imaging soft tissues, like ligaments, muscles, tendons and nerves. Both of these image modalities have disadvantages, although not serious ones. CT scans sometimes do use contrasting agents, so make sure there is no allergic reaction history before agreeing to this aspect of the procedure. CT scans also use X-rays to produce image, although only those who are pregnant should avoid them as a result and even then, only the areas of the abdomen and pelvis should be avoided. In regards to an MRI, due to the strong magnetic field used, people with certain implants (especially those with iron, such as a pacemaker), should never enter an MRI machine. The MRI is also quite loud, and in certain cases could induce claustrophobia, so if there is a patient history of this clinical diagnoses should generally avoid MRI scans. 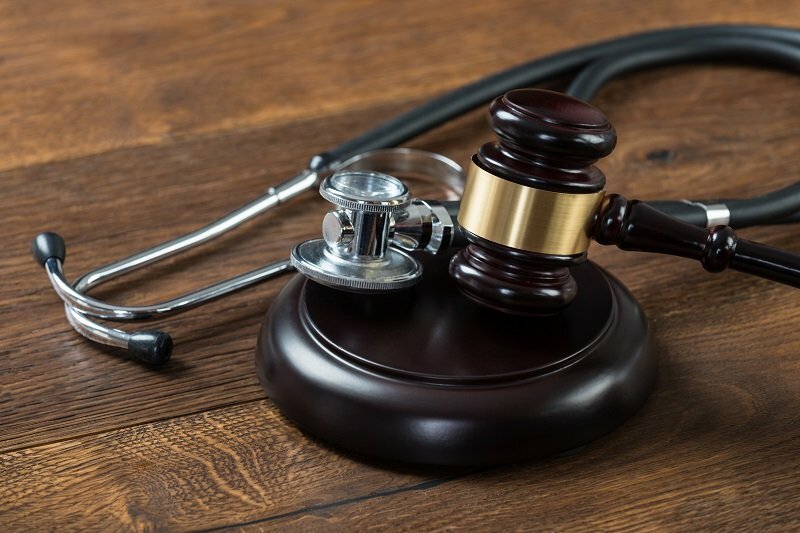 The main takeaway here is that both CT and MRI scans can provide tremendous legal benefits during a personal injury case. They may provide powerful evidence of the extent of injury. Of course, attorneys should take their lead from doctors. The leading factor in deciding which image modality is determining the type of trauma after consultation with a medical professional. There are currently 5.7 million people living with Alzheimer’s disease (AD) in the United States, and this number is projected to reach 14 million by the year 2020. As of 2018, AD was the fifth-leading cause of death of seniors, taking more lives than breast or prostate cancer combined. With such staggering and ever-increasing numbers, the need for early detection and treatment has reached a crisis point. But understanding AD hasn’t been easy. Researchers have struggled to identify the true cause of this disease, develop a standard treatment plan, or find a cure. While an AD diagnosis may seem dire, early detection of the disease can help identify how the disease progresses, which in turn can help to create a treatment option. 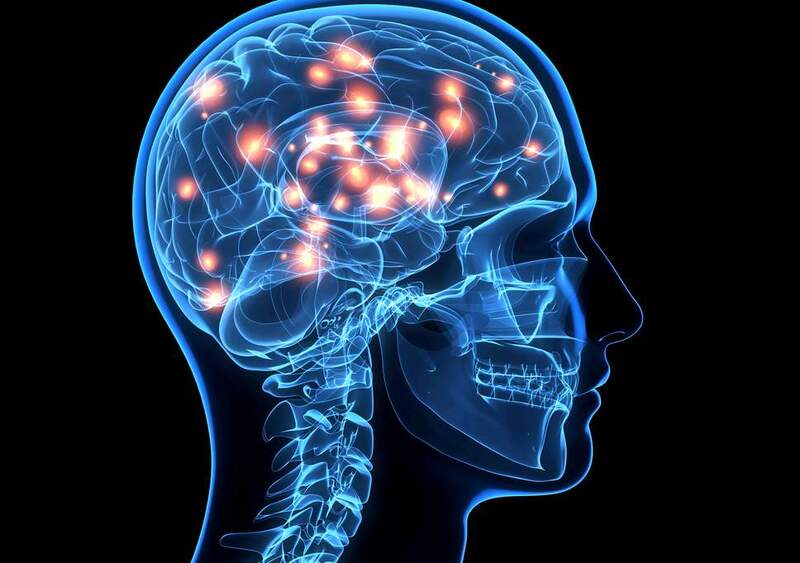 Recent research has shown a connection between changes in the brain’s anatomy and biomarkers known to appear at the early signs of AD. These biomarkers occur before any sign of cognitive problems, meaning these markers could possibly lead to a new, non-invasive AD screening test. Researchers have already discovered that the build up of amyloid-Beta and tau proteins on the brain, as well as a loss of volume in the hippocampus, are early signs of AD. To further examine any links between these two phenomena, researchers from McGill University and McGill-affiliated health institutes studied 88 AD at-risk individuals with no signs of any cognitive decline from the disease. The subjects were given MRI scans to check brain volume, and also had cerebrospinal fluid samples taken to test levels of amyloid-Beta and tau proteins. The researchers found that high levels of both amyloid-Beta and tau proteins were associated with loss of hippocampus volume, but there was no loss in volume when only one of the proteins accumulates within the brain. 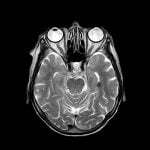 This suggests that doctors may someday be able to use MRI scans to monitor changes in the brains of AD patients at a microstructural level, before more serious changes begin to take place. The recognition that symptoms of AD progress from physiological to cognitive can help diagnose those most at risk of developing this disease. 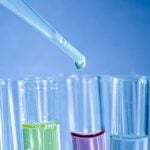 These biomarkers might also help with testing the effectiveness of trial medications, and might one day allow physicians to target at-risk individuals with a simply MRI scan rather than a painful lumbar puncture. Non-invasive tests for AD have ramifications that extend well beyond patients themselves, to friends, family, and society at large. The fact is, in addition to being heartbreaking, Alzheimer’s is an incredibly costly disease. Many AD patients require more hospital visits, as well as full-time, long term care. However, accurate and early diagnosis of Alzheimer’s disease could help save $7.9 trillion is medical costs—and relieve some strain on family members and friends. Thanks to MRI scans and their potential role in spotting Alzheimer’s before cognitive symptoms appear, we seem to be edging ever-closer to the ultimate goal of treating AD effectively. “Alzheimer’s Disease Facts and Figures.” ALZ. Alzheimer’s Association, 2018. Web. 28 June 2018. “A non-invasive method to detect Alzheimer’s disease.” McGill. McGill University, 19 Dec. 2017. Web. 28 June 2018.